The California Supreme Court has concluded the litigation described below by issuing a unanimous finding that the City’s environmental analysis was inadequate and misleading. This effectively invalidates the project approvals granted by the City in 2012. The courts ruling can be read here (PDF). Great news! With much anticipation, the California Coastal Commission met in Newport Beach on September 7th to consider the application for development on the Banning Ranch property. After lengthy debate in a packed City Council Chambers, the Commission, with 1 of its 12 members (Chair Steve Kinsey) recused and another (Wendy Mitchell) absent, voted 9:1 to reject the application – even though it was significantly scaled back from what the City had OK’d in 2012. According to press reports, if the developer wishes to pursue their project, they will have to wait a minimum of six months, after which they can start over with an entirely new application to the Coastal Commission. Whether that would require a new City approval is unclear. Meanwhile, a legal challenge to the City’s original approval, brought by the Banning Ranch Conservancy, remains to be decided by the California Supreme Court (Case S227473, details here). The conservancy contends the City violated its General Plan in 2012 by granting an approval without first working with state agencies (including the Coastal Commission) to delineate which portions of the property were developable and which were not. We understand the Sierra Club Banning Ranch Park & Preserve Task Force and Banning Ranch Conservancy – two groups which have for years led the charge on environmental issues related to Banning Ranch development proposals – will be meeting on September 21 and 28, respectively, to review the September 7th Coastal Commission action and consider their next steps (details here). SPON supports their efforts. Banning Ranch is the last and the largest parcel of privately owned coastal open space remaining in Orange County. It is located at the mouth of the Santa Ana River, nestled between Newport Beach, Huntington Beach and Costa Mesa. It consists of more than 400 acres of coastal wetlands and adjacent coastal mesa. Having served for oil production for the last 70 years, Banning Ranch has escaped the dense residential development characteristic of the surrounding cities. Over time it has evolved into a private wildlife preserve. In 2006, the voters of Newport Beach approved a General Plan that made preservation of the entire property as open space the highest priority for Banning Ranch. Yet in July of 2012, Newport Beach City Council approved a Project of development resorting to a “Statement of Overriding Considerations” to rationalize away the “significant and unavoidable” impacts cited throughout the EIR. In October 2015, the Coastal Commission staff identified the correct acreage of 11.5 acres available for development and recommended denial of the Coastal Development Permit for Banning Ranch. But rather than deny the project the Coastal Commission instructed the developer to work with Coastal staff to work together to come up with a reduced project. The applicant, Newport Banning Ranch LLC is a partnership between AERA Energy, LLC, a wholly owned subsidiary of Exxon-Mobil and Shell, and Cherokee Investment Partners, a $2.2 Billion developer from the East Coast. A revised application that has been submitted to the Coastal Commission (hearing May 12) consists of 895 residential units, commercial space and a hotel to be built on the mesa portion of the property in areas where oil wells will be decommissioned. Separately, their oil and gas proxy, Horizontal Development has a filed for a separate Coastal Development Permit for a new Oil Production facility, up to 100 new oil and gas wells and truck bearing maintenance road along the scenic and environmentally sensitive Semeniuk Slough. Destruction and permanent loss of natural habitats and open space: The property has 200 acres of degraded wetlands with no development potential and 200 acres of coastal mesas and bluffs. This site has more than 225 acres of Environmentally Sensitive Habitat Areas (ESHA). It is a nesting and wintering ground to endangered and threatened species (listed at http://savenewportbanningranch.org under Biology). Unknown and unsafe impacts to our environment: The developer plans to excavate and stockpile 2.8 million cubic yards of soil over 10 years to prepare the land for development, destroying the environment and exposing the public to unknown levels of contaminants. Air pollution: Air pollution from construction and traffic will exceed state standards. Greenhouse gas emissions will contribute considerably to the Greenhouse Gas Inventory, accelerating global climate change and rising sea levels. Noise Pollution: Construction and traffic noise will double allowable noise thresholds. Traffic: 15,000+ more car trips on our roads, daily! Expect double and triple commutes, gridlocked intersections. We urge you to reiterate that this development permit should be denied at the Coastal Commission Hearing at the Newport Beach City Hall May 12, 2016! 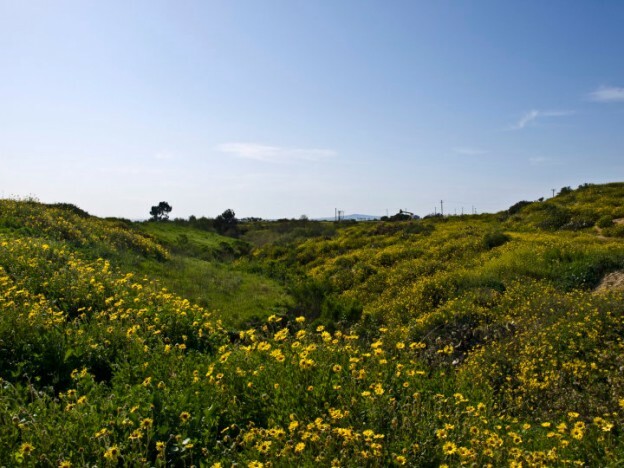 The goal for Banning Ranch should be the preservation, acquisition, conservation, restoration and maintenance of the site as a permanent public open space, park and coastal nature preserve. The Coastal Commission will meet and vote on the Banning Ranch project at its Newport Beach meeting on September 7. The Coastal Commission, the City of Newport Beach and the developer have all agreed on the timing and the location. The Banning Ranch hearing will be heard as Item 14d (Agenda here). Hearing procedure available here. For more information, visit the Banning Ranch Conservancy website. All the following documents are available for viewing and/or downloading here. Developer Seeks More Space to Build . . .
“Fire and the resulting products of combustion are a continual threat to the community . . . ” The complete analysis can be read here. The Coastal Commission hearing will be held on May 12, 9:00 am, at the Newport Beach Civic Center, 100 Civic Center Drive, Newport Beach. This hearing could very well decide the fate of the Banning Ranch. A standing-room-only turnout is needed! The Coastal Commission Staff Report for the proposed project at Banning Ranch can be downloaded here. The Banning Ranch Conservancy and the Quality of Life Coalition are urging everyone to attend the California Coastal Commission hearing on the Banning Ranch October 7/8 at the Long Beach City Council Chambers. This Commission could decide the fate of the Banning Ranch. This is it . . . a large turnout is needed! Let this Commission know that the community opposes the Banning Ranch development. Sign up now for a seat on the bus. Transportation will be provided. Sign the online letter to the Coastal Commission. Better yet, personalize the message to your liking. It only takes 30 seconds! Don’t trust the Trust! The Newport Banning Land Trust was created and is supported by the developers of the Banning Ranch. Watch this short video to learn more. Update March 18, 2015: Presentation to the Newport Beach Women’s Democratic Club by Banning Ranch Conservancy and SPON: The Banning Ranch: Fact vs. Fiction was presented in partnership by Banning Ranch Conservancy and SPON at the March monthly meeting of the Women’s Democratic Club. A copy of the presentation is here. Update March 17, 2015: Caring People, United in a Worthy Cause, Can Make Things Happen! By Suzanne Forster: On Thursday, March 12, at the California Coastal Commission Enforcement Hearing in Chula Vista, the Commission reached a Settlement Agreement (http://www.banningranchconservancy.org/index.html) with Newport Banning Ranch LLC (NBR), the developer, regarding violations of the Coastal Act charged by the Commission against the developer. Without admitting guilt, NBR agreed to stop committing the alleged violations and perform actions (restoration, mitigation and dedication of permanent open space) to correct them. The heart of the victory was that the annual mowing of 40 to 50 acres of critical habitat has been stopped allowing coastal sage scrub to return to these areas. Over 60+ people rode the bus to Chula Vista and many other supporters drove down to carry tables, banners and supplies. This large turn-out sent a powerful message to both the Commissioners and the developer demonstrating that citizens can and do make a difference. Money is needed to continue to inform and educate our neighbors about the negative impact of this project. Please consider a donation at this time. Volunteers are needed and several committees meet monthly to work on important issues. This is a fun way to get involved. Email Banning Ranch Conservancy for more information. Original Post February 2015: Petition to Halt Habitat Destruction at Banning Ranch by Suzanne Forster: The California Coastal Commission Enforcement Staff has cited the owners of Banning Ranch—Newport Banning Ranch LLC and West Newport Oil Company, the oil field operator—with two major violations of the Coastal Act. The violations are unpermitted habitat destruction and unpermitted oil field operations. The Banning Ranch Conservancy has initiated a petition asking the California Coastal Commission to permanently halt this habitat destruction and to ensure permanent restoration and protection of the degraded habitat on Banning Ranch. The petition will be presented to the commissioners at the March Enforcement Hearing (details below). A large number of signatures will tell the commissioners that the public is serious about protecting our finite coastal resources. The Enforcement Hearing is expected to be scheduled during the regular monthly Coastal Commission hearing on March 11-13 at the Chula Vista Council Chambers in Chula Vista (meeting information here); South Coast District (future agenda items here). The exact date of the hearing will also be posted to the Banning Ranch Conservancy website when it’s available. Newport Banning Ranch LLC and West Newport Oil Company (the oil field operator) were recently cited for two major violations of the Coastal Act. The violations are for unpermitted habitat destruction and unpermitted oil field operations. The CCC staff’s enforcement action against the Banning Ranch owners could result in a consent order or a unilateral hearing. A consent order is an agreement between staff and the owners regarding the appropriate restoration and mitigation orders for the violations. Fines can also be levied. If no agreement is reached prior to the hearing, a unilateral hearing will be held, during which the Coastal Enforcement staff will present their case against the owners and the owners’ attorneys or representatives will respond. Interested parties, such as the Banning Ranch Conservancy and other environmental organizations can also make presentations that include expert witnesses. The Coastal Commissioners will hear all the testimony and make their decision. This entry was posted in Watch List and tagged banning ranch, banning ranch conservancy, banning ranch conservancy petition, city of newport beach, coastal bluffs, coastal canyons, coastal zone, habitat, sierra club on March 12, 2017 by SPON-Karen.